Analysis of lithofacies and lithofacies associations. Trends in bed thickness changes. 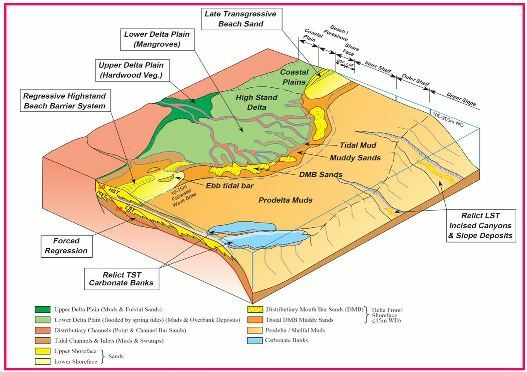 Primary and secondary sedimentary structures and textures. Thin section examination of rocks. Scanning Electron Microscope (SEM) examination of rocks siliceous, carbonate, evaporate, clay and other rock mineralogy. X-Ray Diffraction (XRD) for qualitative and quantitative analysis of rock minerals. 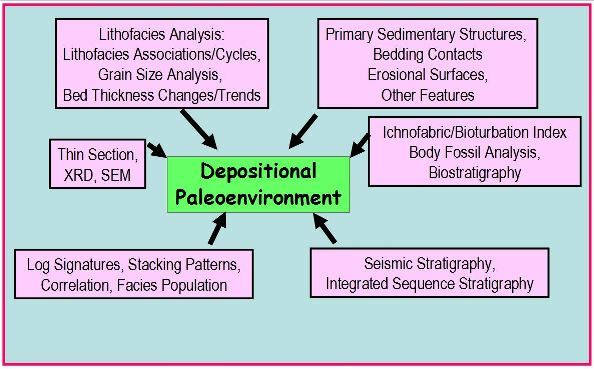 Seismic sedimentology, geomorphology, and stratigraphy. Thin section petrography of seal rocks. Scanning electron microscopy of seal rocks. X-ray diffraction of seal rocks. Capillary pressure analysis through High-Pressure Mercury Injection. Correlation between cores and well logs. 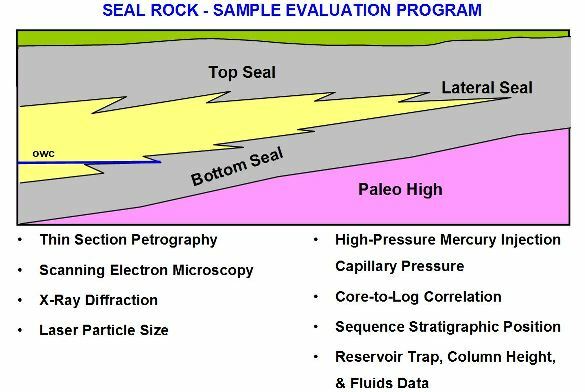 Seal prediction in space and time through integrated sequence stratigraphy. Determination of reservoir trap, hydrocarbon column height. and fluid volume.